This may not be a popular opinion, but I’m going to say it anyways. I prefer caramel over chocolate any day. Don’t get me wrong, chocolate is amazing. There is just something about caramel. Maybe it’s the sweet, sticky taste or the way it melts in my mouth igniting my taste buds for more….lots more. I knew I wanted to incorporate caramel into a pizza in some way. I saw a can of apple pie filling at the grocery store and thought how perfect that combination is and knew it was what I wanted to make. May I present to you Caramel Apple Pizza. 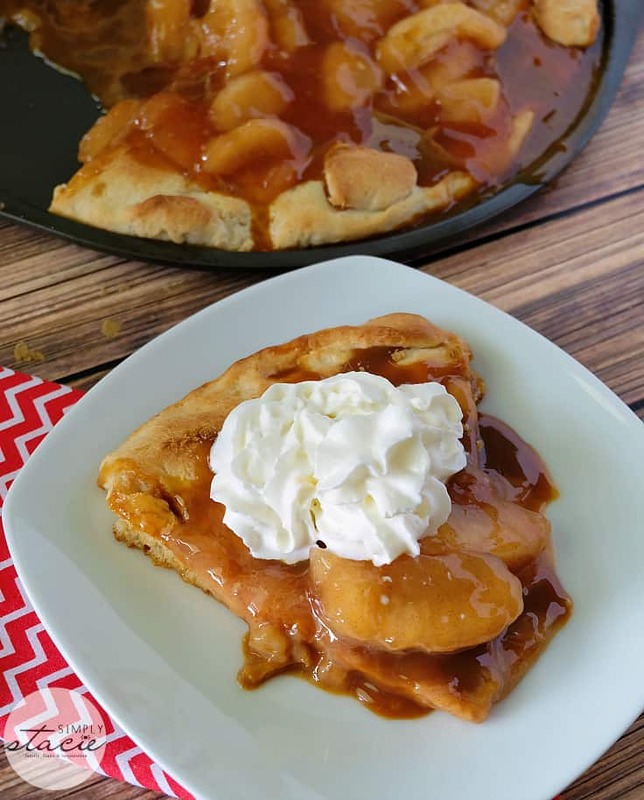 This is another easy dessert pizza recipe for you to whip up when you are craving something different! It’s truly a beautiful dessert with its lovely golden colour. Caramel and apples are a perfect match. They look good together, but more importantly, they taste magnificent paired up. I topped my piece with a bit of whipped cream. I bet ice cream would be good too. It looks a bit like an apple pie doesn’t it? Are you a fan of caramel? 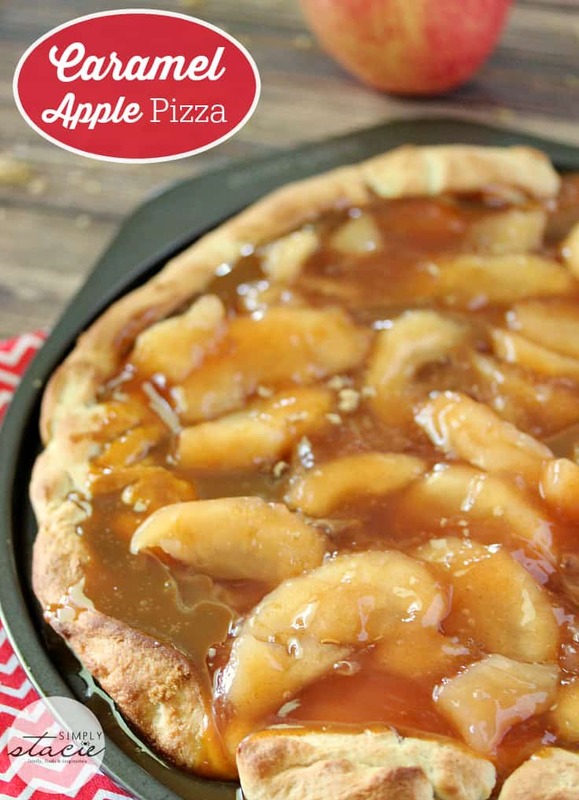 Sticky, sweet and so indulgent, this Caramel Apple Pizza recipe is one you will want to make time and again. Preheat oven to 400F. Grease a pizza pan and spread out dough to fit. Sprinkle brown sugar over the pizza dough. Bake for 15 minutes or cooked and golden brown. 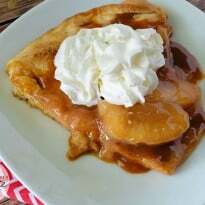 Immediately remove from oven and spread caramel sauce or Dulce de Leche spread over the cooked pizza dough leaving a gap around the edge. It will be very hot so be careful. Spread apple pie filling evenly over top of the caramel spread. Top with whipped cream to serve if desired. Refrigerate any uneaten portions. 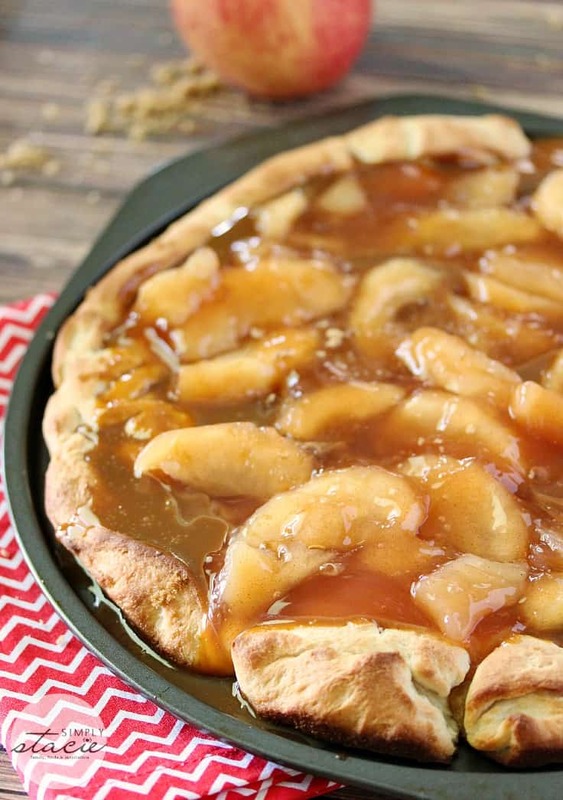 Now this is a must try recipe for the upcoming Apple Season!!! Omgosh yummo!! We have apple picking season coming up so soon!! 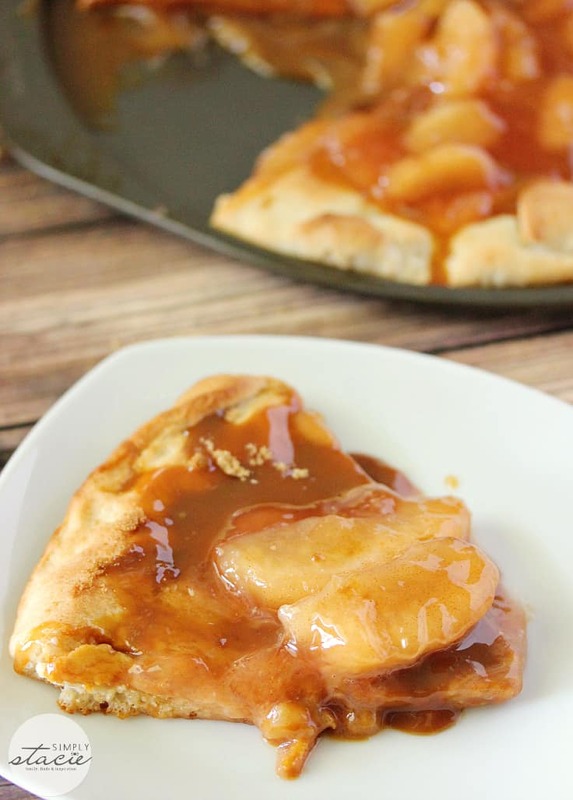 I am definitely making this with our fresh apples!!! Yay!! So exciting!! Now that is one awesome dessert pizza! I LOVE caramel (and chocolate). You’ve got to stop tempting me like this! Thank you for sharing that looks AMAZING and with apple picking coming up……thanks again! Caramel is right up there with chocolate for me and mixed with apples is heaven. Pinned this for my Fall baking! Oh my, what a fantastic treat, can’t wait to try this one. Thanks so much for sharing with us at Full Plate Thursday and have a great week! This looks simply delicious! Thanks for the great recipe! This looks so good, makes my mouth water just looking at the picture. Can’t wait to try, thank you so much for the recipe! This looks so good! Thanks for linking up to the Creative Exchange! My granddaughter an I are going to bake this today, it looks so mouth watering. I will let you all know how it turns out.